In the overview you can see the status of each schedule. Draft: Indicates that the schedule is not finished or has not yet been made accessible to the employees. 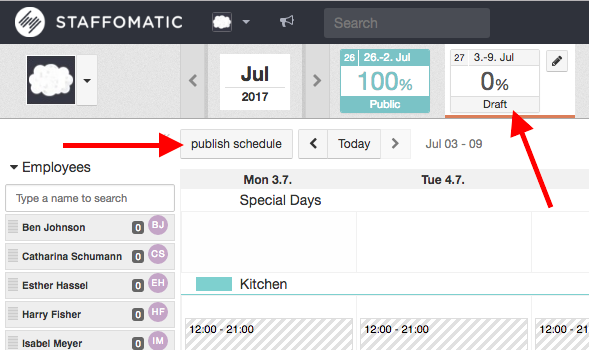 You can release it by clicking on the button 'publish schedule'. Public: Indicates that the schedule is public to the employees. They can now apply for shifts. 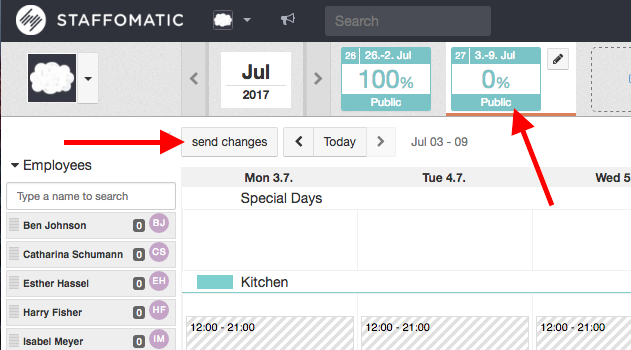 By clicking on 'send changes' the employees will be informed about any changes or updates in the schedule.